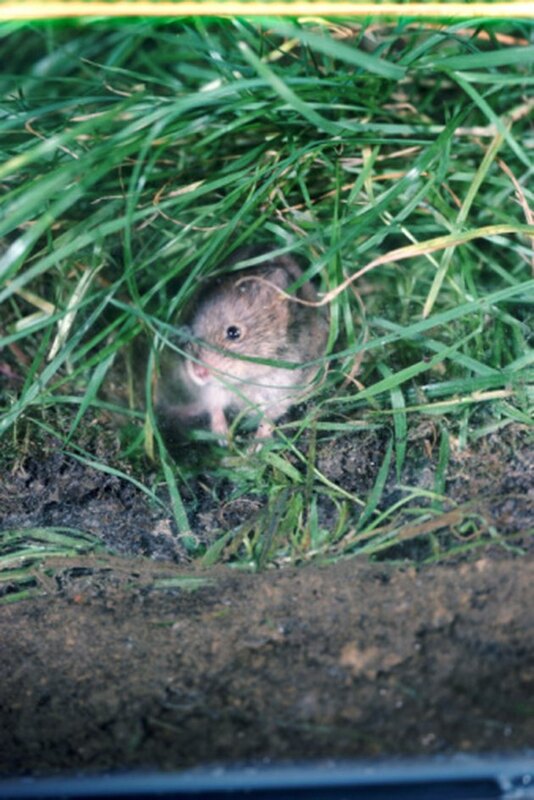 Moles and voles are small rodents that typically attack your garden, feeding off plants, bulbs and other vegetation. While these creatures are more of a nuisance than anything, you typically want to eliminate them without actually causing harm or death. Applying a homemade mixture to your garden will accomplish this, working as a repellent for moles, voles and similar pests. Pour 2 tbsp. dish soap and 1 tbsp. castor oil into a large bowl. Use a whisk to create as much foam as possible, as the dish soap will quickly turn into foam as you whisk. Add about 6 tbsp. water to the mixture and continue whisking. Stop when you have something that looks like shaving cream. Scoop up about 2 tbsp. of the foam with your whisk and drop it into a watering jug. Fill the jug the rest of the way with water. Sprinkle the mixture over your garden area, thoroughly saturating the soil. Repeat this after rainstorms when the solution may rinse away and become ineffective. Also, reapply the mixture about every week to keep potency high enough to continue repelling moles/voles.